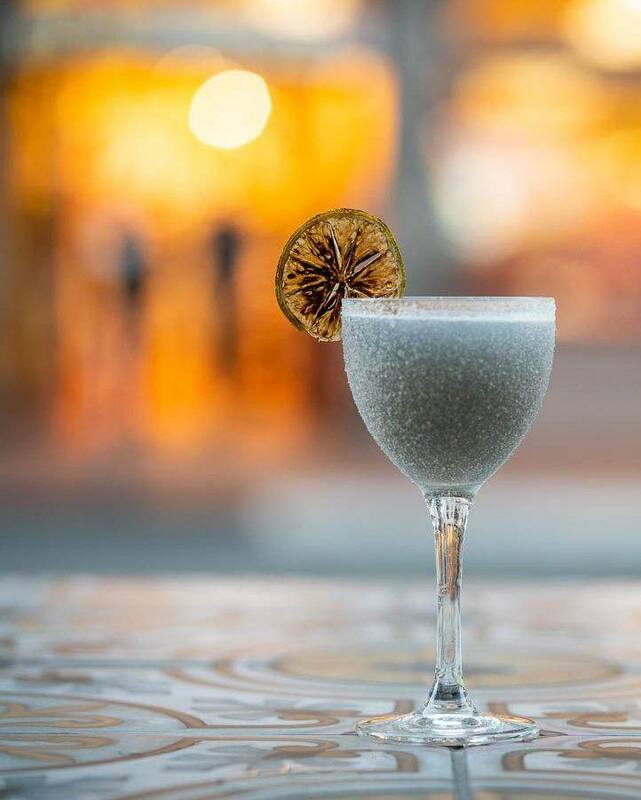 At Lionfish Modern Coastal Cuisine, we have a taste for innovation! To keep things exciting in our dining room, our talented kitchen staff, led by Chef JoJo Ruiz, is constantly creating new and delicious menu offerings. Just in time for fall, Lionfish is proud to debut a variety of new menu offerings for your tasting delight. From a light seafood salad to elegant steamed mussels to only-in-San-Diego Spiny Lobster, there’s something for everyone to love on our new menu. Read on to discover the latest mouthwatering menu items on offer! Whether you’re craving something light and fresh, a sweet-and-savory delight, or something with a Southeast Asian-inspired flavor profile, you’ll find some truly exceptional starters and small plates among our new menu items. Seafood Sunomono Salad: Light and refreshing, this unique salad is composed of cucumber, Red Ogo seaweed, sesame, and Dashi pickled onion. It’s the perfect mixture of salty, savory, and fresh flavors. 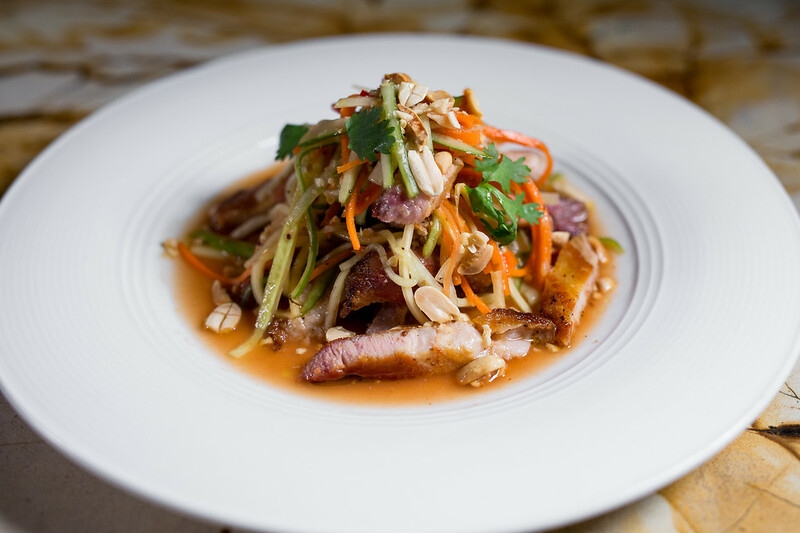 Pork Belly Som Tum: Som Tum means papaya salad. But you’ve never tasted one like this! Green Papaya, chili, cucumber, and peanut come together with decadent pork belly for the ultimate sweet-and-savory experience. It’s also served with Nuoc Cham sauce, a singular dipping sauce/dressing made with fish sauce, citrus, and aromatic spices. Chicken & Shrimp Siu Mai: Siu Mai are a type of dumpling that are common dim sum offerings. 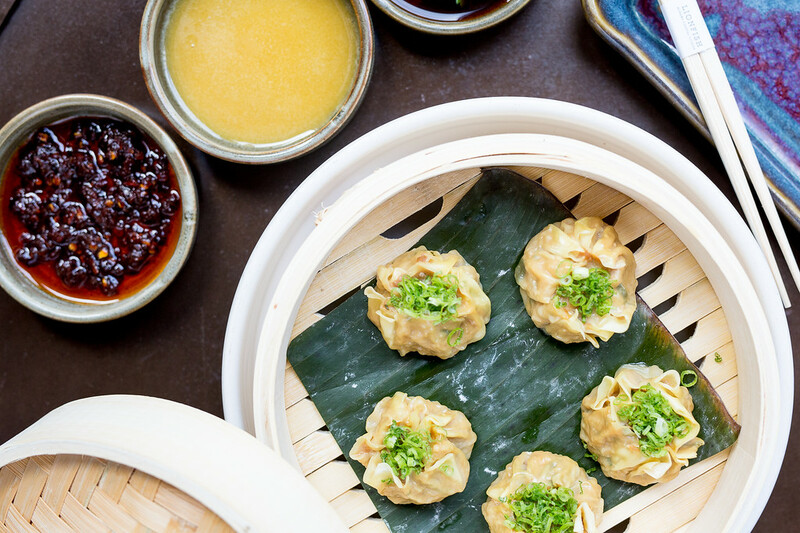 At Lionfish, our dumplings are filled with chicken and shrimp and flavored with scallion, Soylantro sauce, and hot mustard. They’re the perfect pick to stoke your appetite for the meal ahead. 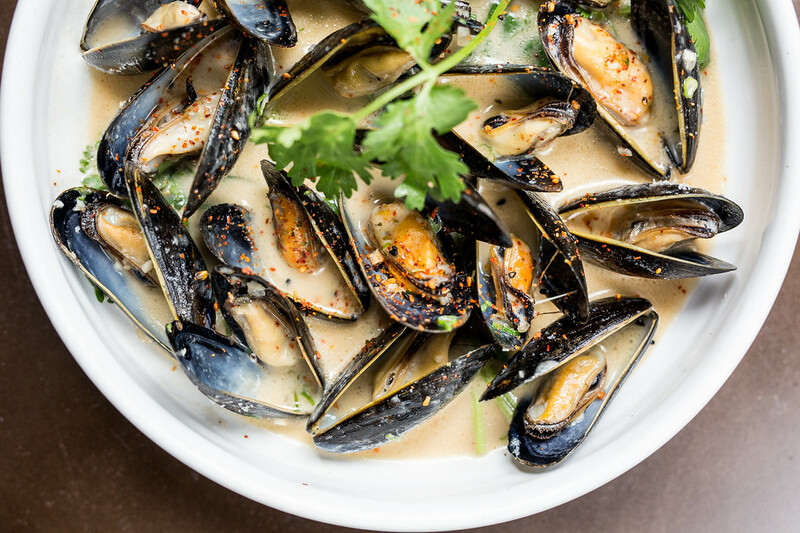 Steamed PEI Mussels: Plump, delicious mussels are scented with togarashi, a fiery, chili-forward Japanese spice mixture, and cilantro. They’re served with a coconut-lemongrass broth that will make you want to lick the bowl! Coal Grilled Local Opah: If you’ve never tried opah, you’re in for a treat. It has a rich and almost creamy flavor, with just enough fattiness to keep things interesting. It’s served with confit oyster mushrooms, daikon, savoy cabbage, and tosazu sauce, which is a type of Japanese vinegar sauce. Pan Seared St. George Scallops: Scallop lovers will be dreaming of this dish for days. Pan seared scallops are served with corn, shishito, tahini, black sesame, and red pepper romanesco. Whole Steamed Baja Striped Sea Bass: Fresh sea bass is steamed simply to maintain its fresh from the ocean flavor, and served with a melange of melted leeks, Spigarello broccolini, cilantro, scallion, and a special “Sucio” sauce. Roasted Ora King Salmon: The signature flavor of salmon is served differently than you’ve seen before, with an aromatic and Middle Eastern-remnicient mixture of orange, fennel, almond, cauliflower, tahini, and chermoula, which is a Moroccan herb sauce. 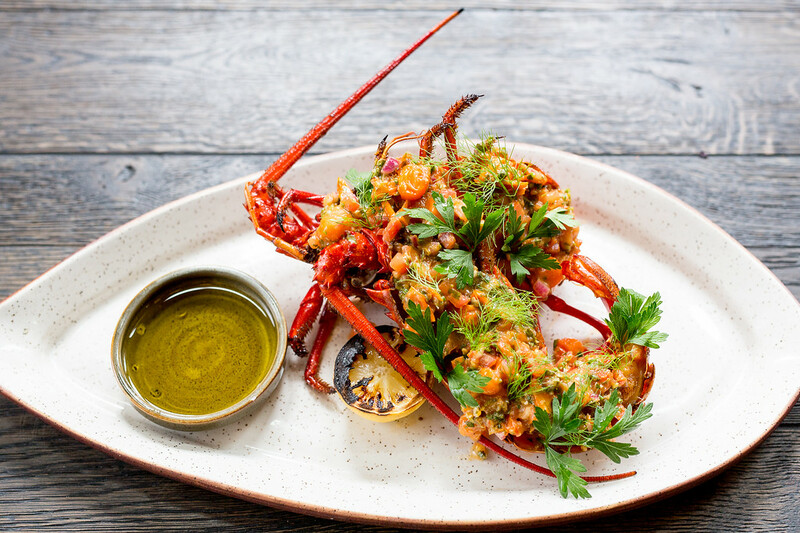 Whole San Diego Spiny Lobster: As you’ll learn in this post, Spiny Lobster offers a completely different dining experience than traditional lobster. 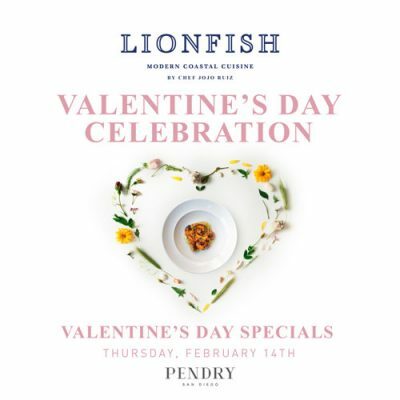 Enjoy this only in San Diego delicacy at Lionfish, served split with picatta “salsa”, butter, capers, lemon, and tomato. Nope: seafood doesn’t have all the fun on our menu. Feel like trying something a little different? Even the meat entree portion of our menu has been updated, with aromatic and beautifully spiced and flavored new menu items. Grilled Salmon Creek Pork Chop: Pork chops are classic and delicious pretty much all the time, but they attain OMG status when served with baby broccoli, Asian pear, cheddar grits, and pear mostarda. Moroccan Lamb Tagine: Tagine is a traditional type of North African stew that takes its name from the shallow, lidded cooking dish in which it’s slowly cooked. The unique flavor of lamb becomes a culinary marvel when combined with the flavors of Morocco. This dish is made with dried apricot, coal roasted parsnip, and house-made couscous. 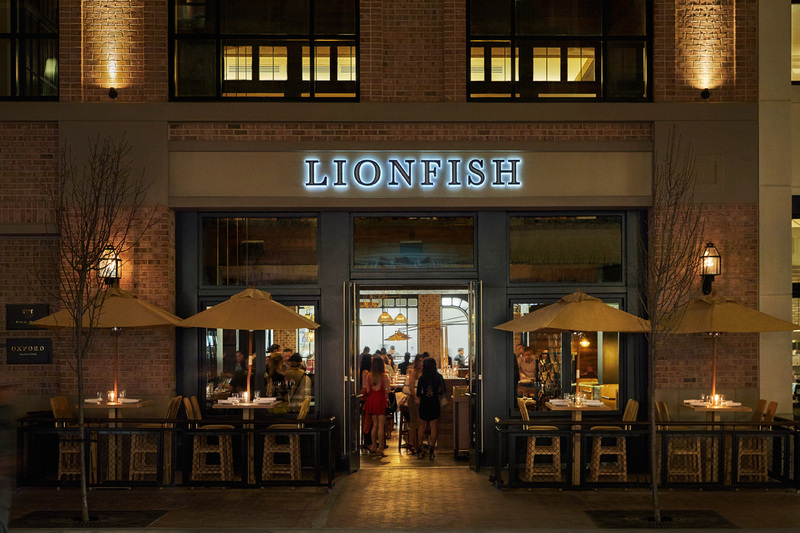 Lionfish Modern Coastal Cuisine is a destination-worthy San Diego restaurant with an incredibly creative and innovative menu. In true California cuisine tradition, we embrace local and high quality ingredients while incorporating a variety of internationally inspired flavors and spices. Every dish is an experience to be savored at Lionfish! What’s your favorite new menu item?